London 1666 – A terrible plague has swept through the city and people live in fear of animals carrying the disease. 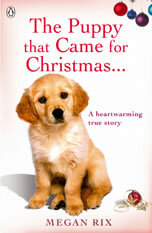 Woofer is a loveable stray who works in the palace kitchen and Tiger Lily is the pampered pet spaniel of King Charles II. They come from very different worlds but this hasn’t stopped them becoming the best of friends and looking out for each other. When Woofer finds himself in trouble he has to escape the palace grounds and Tiger Lily isn’t far behind him. It’s not long before a new danger emerges – a great fire is sweeping across London destroying everything in its path. 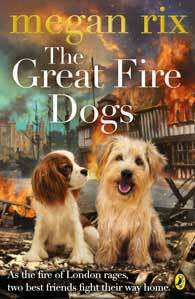 Can these two brave dogs survive the blazing fire and make their way to safety? 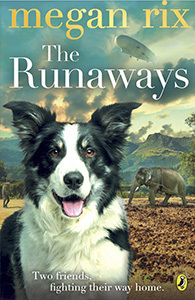 Robert and Lucy Edwards love their pets more than anything; but the threat of the Second World War forces them to flee to Devon – leaving their animals behind. And as the air raid sirens sound over London, the frightened animals are sent to be put down.Buster, Tiger and Rose make a daring escape but with danger at every turn, can the trio make it across the country as it prepares for battle – and cheat death for the second time? 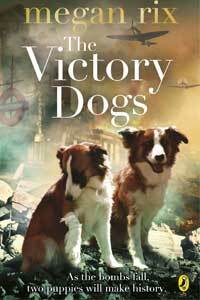 The Victory Dogs is the incredible story of two puppies who become heroes of the blitz. BARK and HOWL are two puppies, born on the London underground, SHEBA is an elderly one-eared catWhen the Blitz begins, how will they survive? 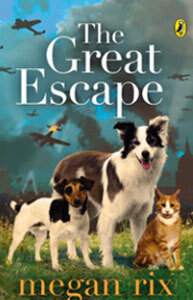 It’s the start of the Second World War and Bark and Howl are lost in the dark maze of tunnels under London. 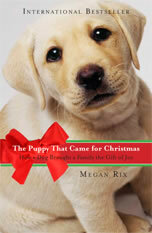 With Sheba’s help, they learn how to survive. But when the bombs begin to fall, the puppies become separated. As the attacks continue, Bark and Howl are frightened, but they know the tunnels so well – they’re the only ones who can lead hundreds of trapped people out of danger. Will Bark and Howl find each other – and be victorious in leading Londoners to safety? 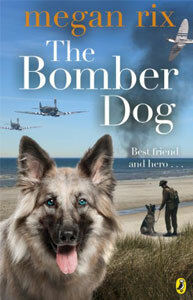 The Bomber Dog is a gripping and heartwarming story for 9+ readers about a brave puppy who joins the paratroopers during the Second World War and becomes a heroic war dog. GREY is just a puppy when he arrives at the War Dog Training school. NATHAN, his trainer, is a brave young soldier. WOLF is a war dog who’s seen it all. Grey and Nathan soon become inseparable. Until the day a parachute jump goes tragically wrong . . .
As the Second World War rages, Grey faces his most important mission yet: to find his best friend. With Wolf at his side, he must journey across France and behind enemy lines. His path is fraught with danger. Can he reach Nathan before it’s too late? SAMMY is a football crazy rescue puppy. MOUSER is a fearless grey tabby. 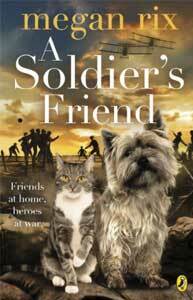 Together they make an unlikely pair that won’t be parted, not even by the First World War. 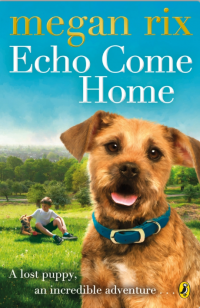 As the war rages in Europe, Londoners are sending brave animals to help the soldiers – and Mouser and Sammy are soon on their way to the trenches. Boldly criss-crossing no-man’s land they make new friends of every nationality – and reunite with old ones. But on the muddy front line, under fire and constantly in danger, will their friendship be enough to save them so they can return home together? Eleven-year-old Joe is dreading his first Christmas without Dad. But then Mum suggests they volunteer for Helper Dogs and train puppies to help people in need. Joe has always wanted a dog and when he meets golden Labrador Patch he knows he’s found him. 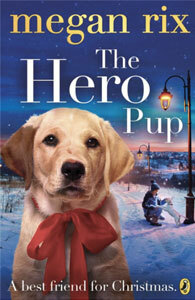 With Joe’s love and training, can Patch go from playful pupy to heroic helper – and mend Joe’s broken heart along the way?